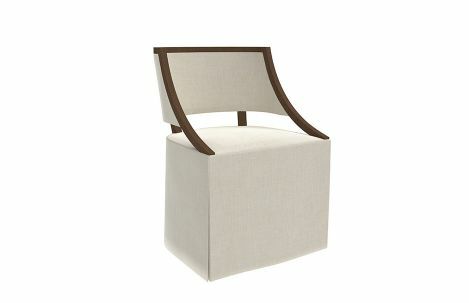 Custom upholstered McAlpine Home chair from Lee Industries. Tight back and seat. Dressmaker skirt. Exposed oak frame in standard finish options. Casters are not available on this model.